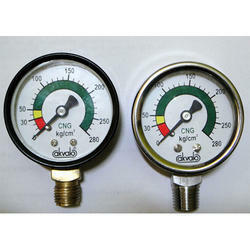 Pioneers in the industry, we offer shaffer diaphragm gauges, refrigeration pressure gauges, cng pressure gauges, 50mm safety pressure gauge, ammonia pressure gauges and manifold pressure gauges from India. 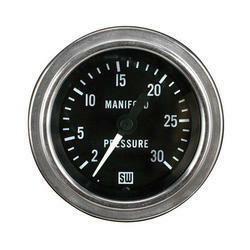 We put forth for our clients a comprehensive range of CNG Pressure Gauges. All the products offered by us are manufactured using qualitative raw material which is sourced from the famed vendors of the market. Our professionals use latest technology and tools to manufacture this range as par the industry set quality parameters. These are used as a indicators for refilling of CNG from empty to full in a clockwise direction, available in varied custom-design models. For welding cutting and allied processes in equipment and plants Application for oxygen and acetylene To ensure safety requirements. 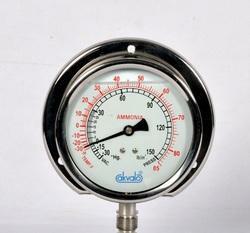 We hold expertise in offering a wide gamut of Ammonia Pressure Gauges. We offer this range of the products using qualitative raw material, as par the industry set quality parameters. 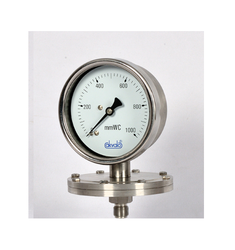 Our offered range is widely used for the measurement of vacuum and pressure used in varied industrial sectors. Clients from varied parts of the globe widely appreciate this range for its rugged construction and reliable performance. Furthermore, to ensure the quality of the offered products our quality experts stringently examine all the products.